Is anyone else just completely ready for summer? I know that I am, the kids have 3 weeks left of school and I think I am more excited about it than they are! 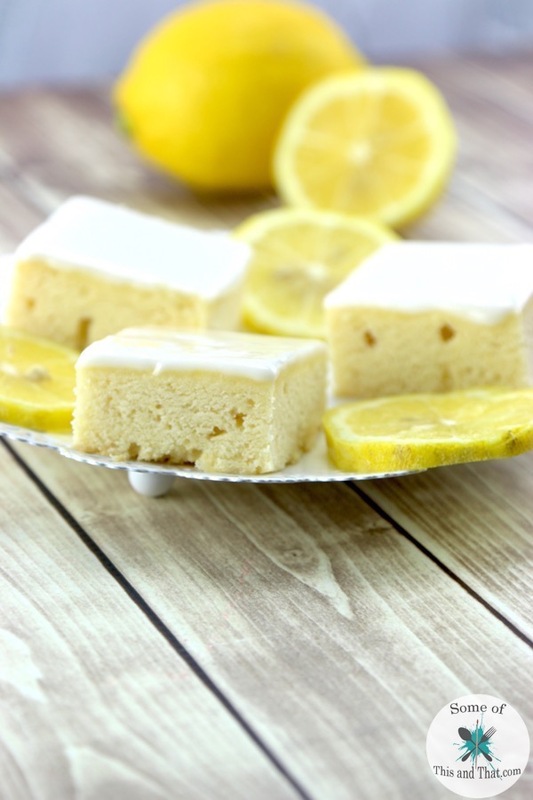 To get ready for those hot summer days I am sharing this amazing Lemon Blondies Recipe! With all of the rain that we have been having the past few weeks, these Lemon Blondies were exactly what I needed to keep me going through these last few weeks of school! 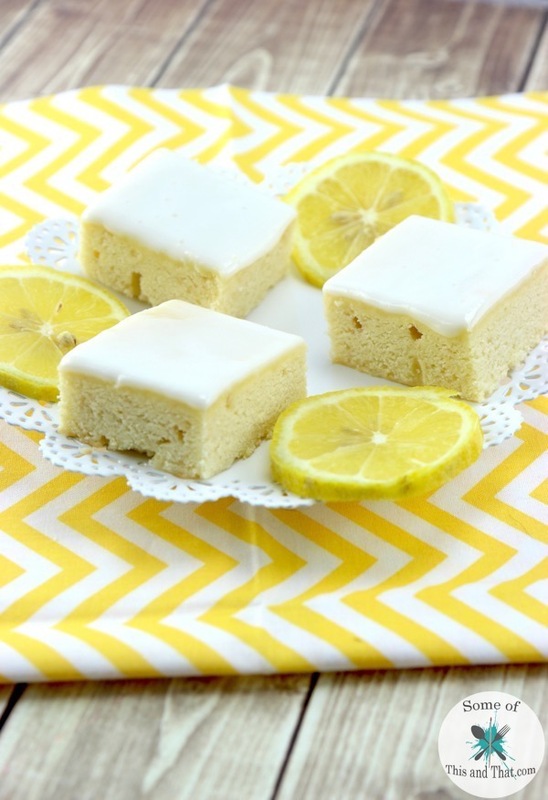 With the soft caky texture and the sweet and tangy flavor, these Lemon Blondies are amazing! I will admit that I have eaten half of them just while editing the photos for this post. 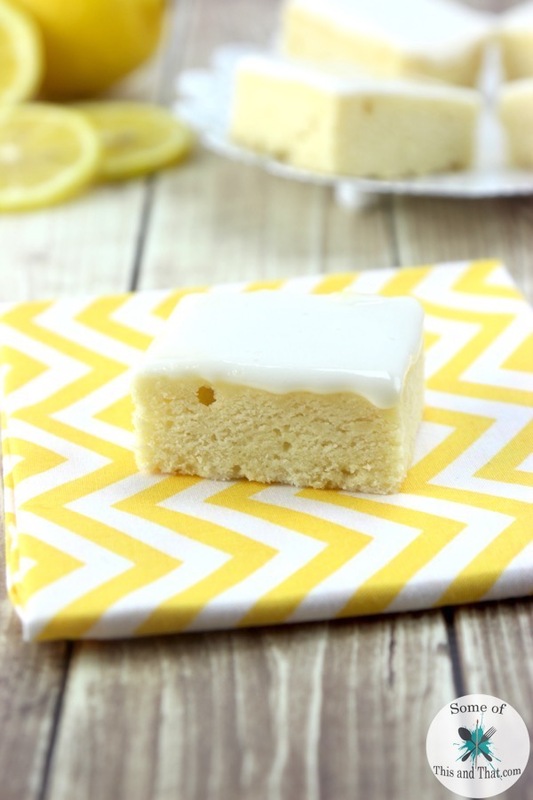 The lemon glaze that they are topped with just put them right over the edge! Preheat oven to 350 degrees and line an 8x8 baking dish. Add in eggs and mix until well combined. Incorporate lemon juice and zest until well combined. Bake for 20-22 minutes or until edges are slightly brown and a toothpick inserted into the center comes out clean. While blondies are baking prepare the glaze. Combine powdered sugar and lemon juice and mix well. Once blondies are finished baking, allow to cool for 5 minutes and then pour glaze over the top. Need some other quick dessert ideas? Check out our Pinterest board! Love this recipe? 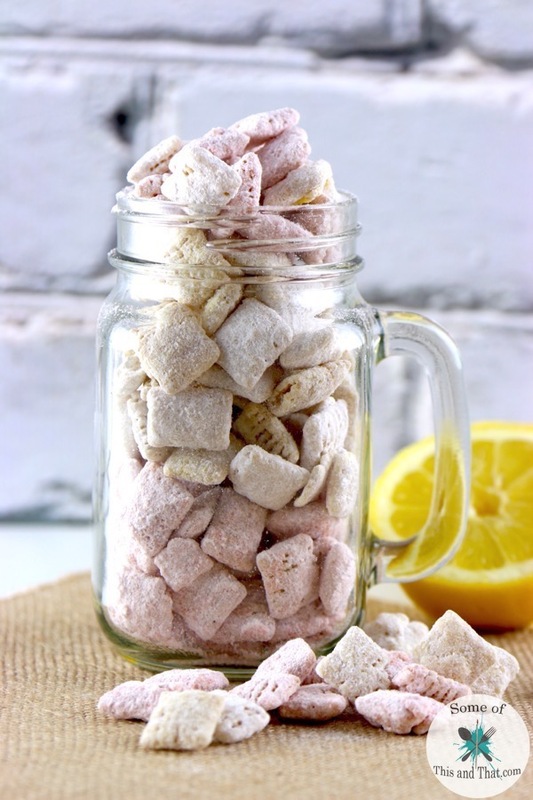 Check out this one for Strawberry Lemonade Muddy Buddies!